RB: High-strength composite panels with 14 gauge galvanized steel exterior with 22 gauge galvanized steel liner with 1” fiberglass insulation. 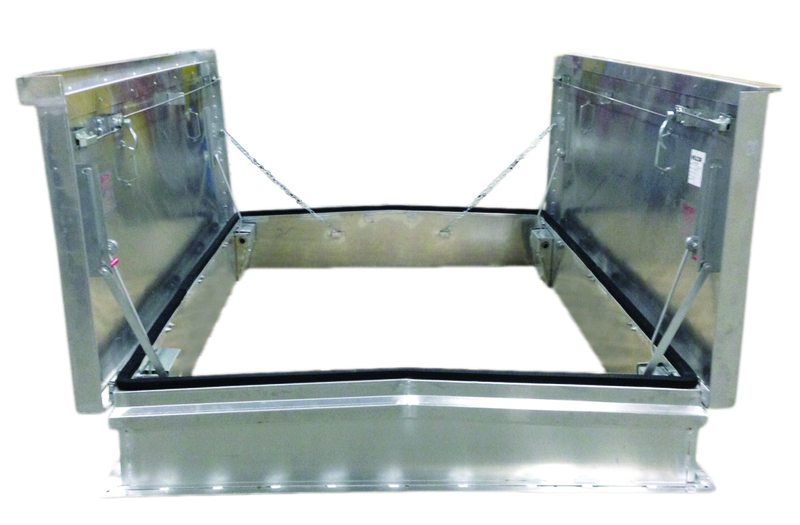 RC & RD: Mill finish .090 aluminum exterior with .063 aluminum liner with 1” fiberglass insulation. Two-point slam latch system for tight, secure closure with interior and exterior handles and padlock hasps.